Gil Scott-Heron was known for his poetry and soul works in the late 1960s and early 1970s. NEW: Gil Scott-Heron is best known for the 1970 song "The Revolution Will Not Be Televised"
(CNN) -- Gil Scott-Heron, dubbed the "godfather of rap" for his mix of poetry and music, died Friday in New York, his publicist at XL Recordings said. He was 62. It was not immediately known what killed Scott-Heron, who was best known for the 1970 song "The Revolution Will Not Be Televised," a politically and socially charged song that examined the African American condition in America at the time. The song was banned by some radio stations. Scott-Heron died at 4 p.m. at a New York hospital, said Lisa Gottheil, his publicist at XL Recordings. Scott-Heron defined the genre, long-time friend and former bandmate Charlie Saunders told CNN. Saunders worked on Scott-Heron's 1970 debut album "Small Talk At 125th & Lenox." Saunders, a percussionist, said the last time he saw Scott-Heron was about two years ago when he needed a place to stay. "He came by our house to get himself together. He spent 4 to 5 days and then moved on," Saunders said. Much of Scott-Heron's poetry and music reflected his struggles with drugs and alcohol. 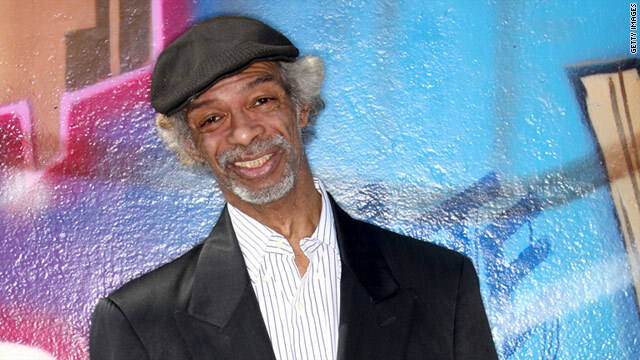 Born in 1949, Scott-Heron first gained fame for his poetry and spoken word performances in the late 1960s. By the mid-1970s, he had published two books of poetry and recorded four albums, including "Small Talk At 125th & Lenox." His early albums, "Pieces of a Man" and "Winter in America," have been credited with influencing other musical genres, such as hip hop. But it was the song "The Revolution Will Not Be Televised" that put Scott-Heron on the musical map. His music has been sampled by everyone from Kanye West, who sampled "Comment #1" for his 2010 song "Who Will Save America," to Common's sample of "No Knock" on his 2008 hit "Universal Mind Control." After a 13-year hiatus from making music, Scott-Heron put out a new album last year called "I'm New Here." In a 2008 interview with New York magazine, Scott-Heron revealed he had contracted HIV, the virus that causes AIDS, after years of battling drug and alcohol addictions. In 2001 and 2007, he was jailed on drug charges. CNN's Denise Quan and Greg Morrison contributed to this report.